In the UK, its that time of year again, when the popular TV show, 'I'm A Celebrity Get Me Out Of Here' is aired. The famous 'Bush Tucker Trials' where the contestants are challenged to eat all sorts of weird and gross things, from insects to Bull testicles. Chinjuuya a popular restaurant, located in Tokyo, Japan would certainly give the 'Bush Tucker trials' a run for its money. 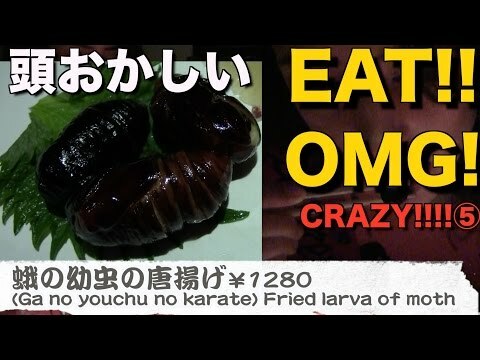 Check out some of their most bizarre dishes, below, preferably not before eating as a seriously strong stomach is required! How About Some Lovely Bugs With A Slice Of Fresh Lemon For Your Starter? Or Some Sloppy Worms Or Crunchy Maggots Perhaps? A Whole Char Grilled Lizard For The Main Dish? Or Perhaps An Alligator's Leg? OR MAYBE A SEASONED SCORPION? And Finally For Dessert Light Pudding With Added Meal Worms And A Crunchy Embedded Cricket!